And thus began the week of climbing and the start of our desert journey. 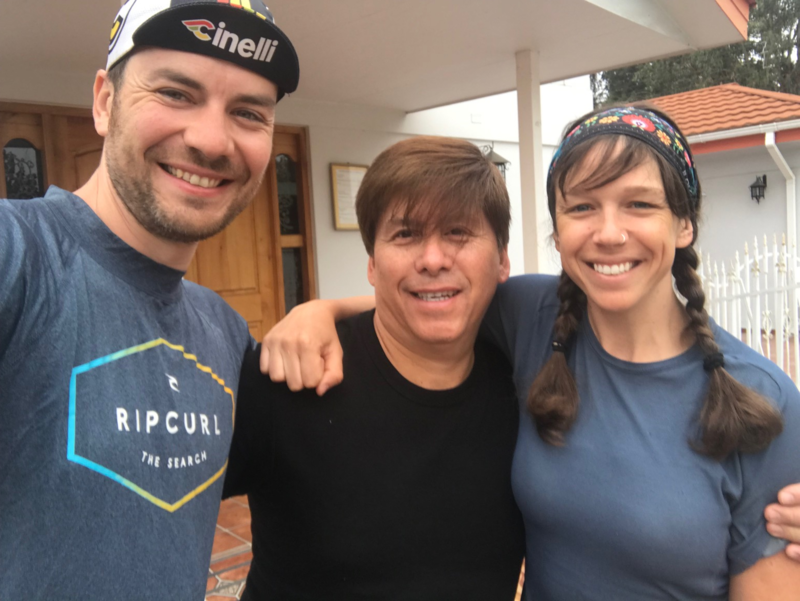 This week, we pedaled ourselves up over the Andes Mountains via Paso Pehuenche at 8,395 feet. It was by far the most scenic ride we have ever been on, but also one of the most challenging. Read below for more info on the route we took and where we plan to head next! From Los Angeles, we began our ride on the Ruta 5, part of the pan-American highway. We really wanted to avoid this busy two lane highway, but with the schedule we are trying to keep up with, it was unavoidable. It’s legal to ride on the highway with bikes, though it seems absolutely insane at first. For those on the east coast, it is basically like biking in the shoulder of 95. Crazy you are allowed to do this. It’s not so bad on the road at first; the wide shoulders make it feel less dangerous as the big trucks fly past, often with an encouraging blow of the horn to follow. After several hours though, the monotony of a relatively flat road with loud speeding traffic wears you down mentally. There is no escape from the noise of engines speeding past nor the constant rattling of axles and chains as trucks bump along the choppy road. Suzie and I were only able to converse during infrequent breaks in the traffic. Slowly, I began feeling insane. There are only so many versus in Toto's Africa that you can make up while trying to pass the time. The moment you start whistling the pan flute solo while keeping a beat on your handlebars is the moment that you know you have gone to far. To rescue ourselves from the brink, we aimed for the various Copec gas station/rest stops along the highway. These are oasis' on the road. Most have some green space and lots of room for fellow travelers to sit and eat a quick meal while making their way to their various destinations. We stopped for the heat of the day (around 4) for coffee and a pizza. Once back on the road, we passed Chillan and decided to try killing a few more miles before the days end. We made for San Carlos and found refuge at a guest house after asking a few kind folks in town if there was any more room at the inn. 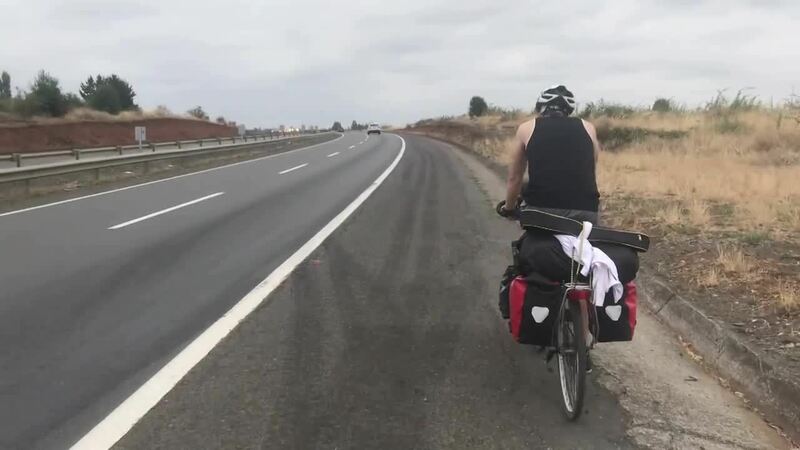 The next day, we continued forward on the Ruta 5 toward Linares, seeing mostly the same sights and sounds as the previous day. We did stop for a few amazing roadside strawberries, which lifted our spirits considerably. They were incredible! Exiting at Linares, we happily said farewell to the 5 and made for town. Suzie got her bike gears fixed at a shop in town and the guy didn’t even charge her. We then made for the L-11 east towards the Andes and our climb into Argentina. The beauty of this road is that there is a bike lane, a welcomed variation from the past two days in the shoulder of the 5. 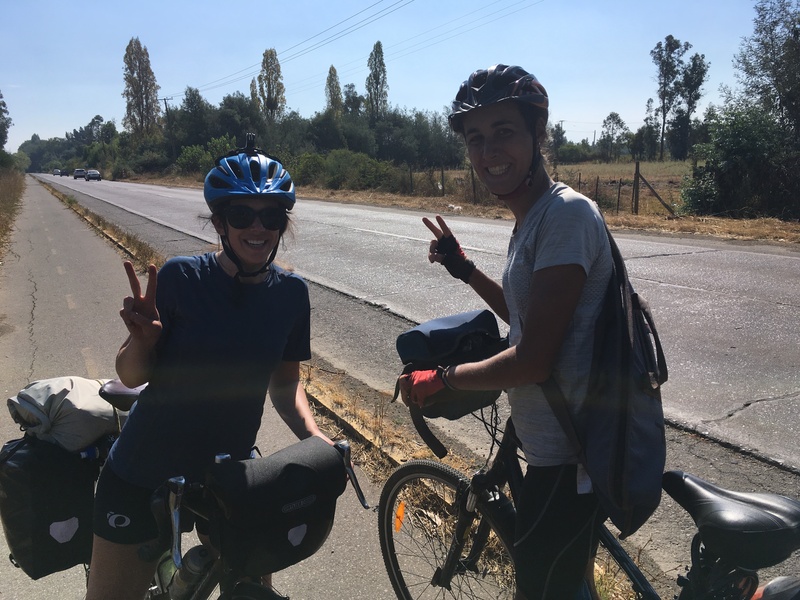 As we cruised closer and closer to the days end, we met Chole, a Parisian cycling all around South America, coming the other direction. We talked for a while about our respective routes on the continent and learned she had come from practically the same way we were going! Gotta love running into other like minded people on the road. Our end point for the day was Panimavida, where we stayed in a hostel for the evening. So tired were our legs after not taking a day off since leaving Osorno that we made the call to rest up for a day before heading into the mountains. It turned out to be an excellent call. While there is not much going on in Panimavida itself, we stayed our second night with Don Alejandro at his hotel of the same name. The night was one to remember. We ate steak, played music, drank wine... it was amazing. It's good that I usually have no idea what's going on in life, as I don't really speak the language at all here. As people pointed and said things, I pulled the infamous "smile, nod, and say "really," "good," and "thank you," a lot." It worked like a charm. The highlight for me was playing Radiohead's "Creep" while the Chilean next to me sung the words. Just an awesome time. There are no words to describe the beauty of our climb up and over Paso Pehuenche. They say the best things are the hardest to reach, and this rings true for the 3 days we spent ever climbing toward the towering peaks above. I feel a bit rushed trying to fit all the details of this feat into this, so I am going to post separately about this later. For now, take a look at everything Suzie put on Instagram here. 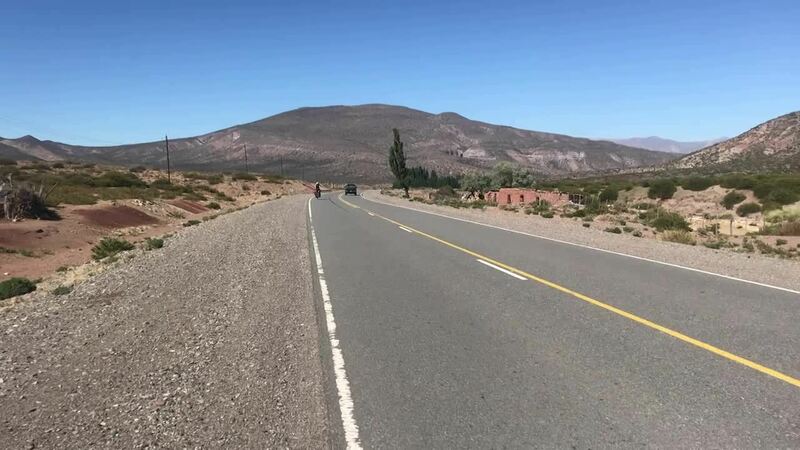 I will say that anyone considering crossing the Andes by bike should highly consider crossing at this point. 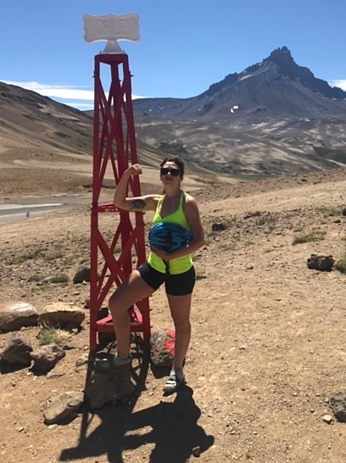 From every rapid and waterfall along the river, up to the Laguna del Maule, and to the final point at the base of Cerro Campanario; it is an epic ride with vast, sweeping views the whole way up. I've only ever teared up at the end of Rudy and Lord of the Rings, but the views here came close to hitting number 3. The last day of our week began in Bardas Blancas. We camped the night at a small site just outside of town where we bartered for a bottle of wine. 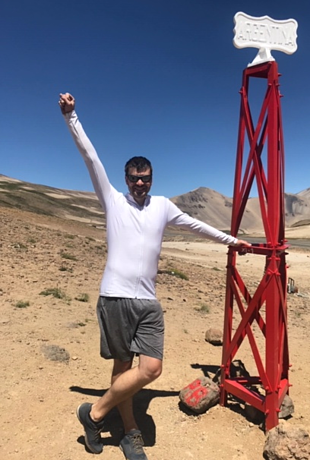 The next day, we realized we should have been bartering for food instead, as we were pretty much out of provisions from the climb and the nearest bank (to get Argentinian Pesos) was about 40 miles away. And so, the first "breakfast pasta" of the trip was eaten, in the dirt by the side of the Ruta 40. The sauce was a hard C, but the pasta... was a soft B-. Luckily, we had a surprise 15-mile, 2,000 foot climb on our path. With a mere Oreo and a half between us, Suzie and I powered forward into the high desert. Tears would have been shed, but for needing all the fluids possible, we kept it together, stayed together, and reached the top of our climb around mid-day. The road cut down from there into a few canyons until the true desert came into view. With a vicious headwind halting any real progress downhill, I got my first look into what a barren landscape really looks like. The best way to describe it is that it's like the sea. As far as you can see, there is nothing. The pavement bobs up and down for miles below, but beyond, all there is is dust. To be fair, breakfast pasta had worn off about 2 hours earlier, so I was getting a bit nutty, and they say the desert plays tricks on the eye, but in the distance, I saw monsters. At first, it appeared to be a mirage, but as the day wore on, 4 peaks of the Andes peaked into view as though they were ships emerging from the fog. Despite the sunburn, grumbling stomach, and need to rest, I was again in awe of these mountains. 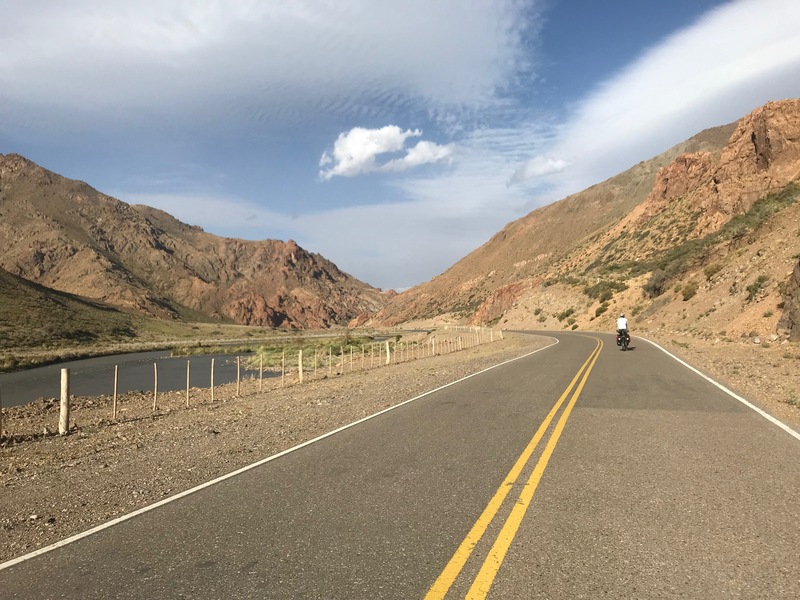 If you are interested in learning more about our South America travels, check out this page for more info on our ride.